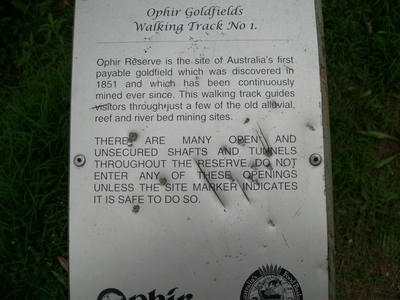 Ophir is located approximately 30 minutes north of Orange and about 4.5 hours north west from Sydney. 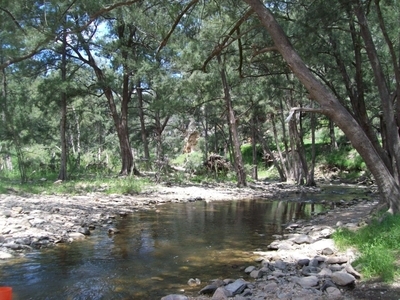 Ophir Reserve is a picturesque picnic and camping ground on Summer Hill Creek and offers visitors plenty to see and do – take a bushwalk along one of the walking trails, explore some of the gold mines in the area, pan for gold or bring a tent and camp for a night or two and toast marshmallows on a camp fire. 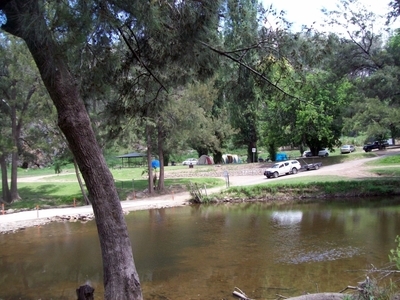 Covered picnic tables, BBQ facilities and toilet block are available at the camping site, but you will need to bring drinking water as the only water available is rainwater and suitable for washing only. 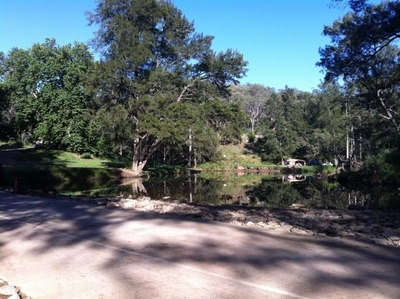 The cost to camp at the ground is only $5 per person per night, so it's great value. Part of the trip is on a dirt road, so make sure you check your tyres before you leave home. There is no phone or internet reception, so forget about checking your email or Facebook. 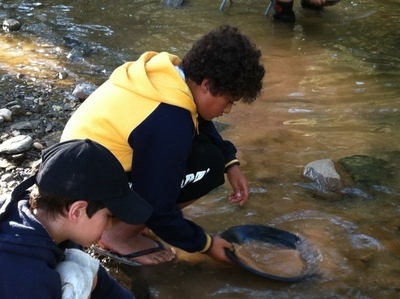 If you want to try your hand at gold panning you will need to bring some equipment including a plastic or steel pan, preferably one with deep riffles, a shovel, plastic bucket, glass vial for your gold and either hip waders or a pair of rubber boots. 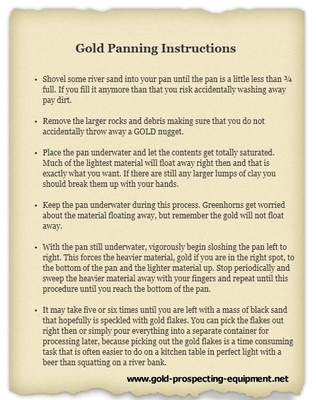 Here are instructions on how to pan for gold. 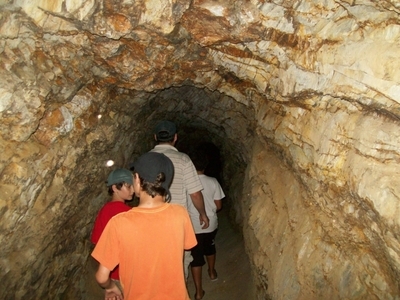 If you wish to experience a real operating gold mine, visit The Gunnadoo Gold Mine at Doctors Hill, Ophir. Although somewhat eccentric, the owners are friendly, amusing and know their stuff. 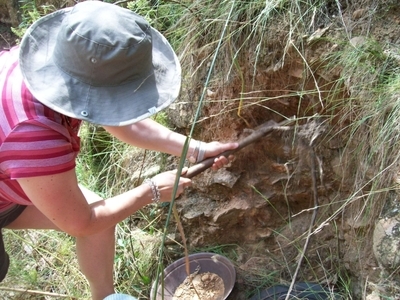 They will take you on an underground tour and give you gold panning lessons. 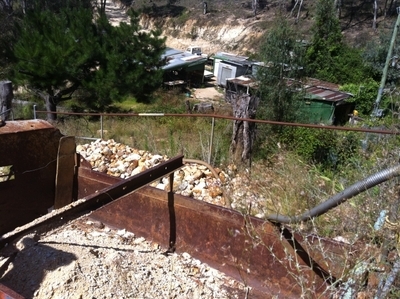 Gold from this mine was used for medals at the Sydney Olympics in 2000. 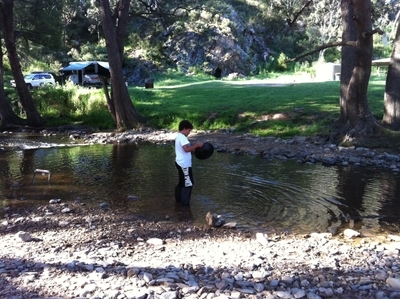 Although your chances of becoming rich are slim, gold panning is a lot of fun for the young and old. 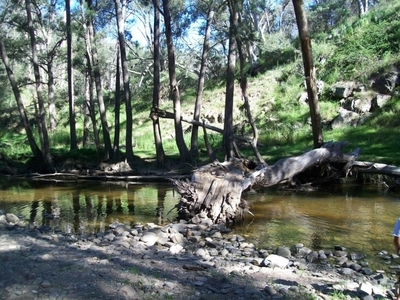 Great site and great location, however more and more fossickers are using electric pumps and other motorised items in order to dig up the creek. 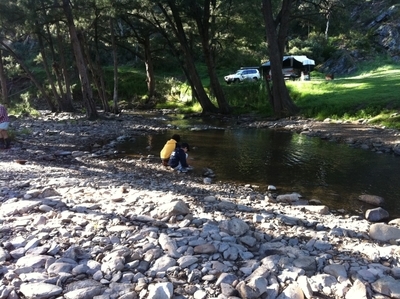 This is illegal and very noisy especially for people camping and wanting some peace and quiet. One guy drank 8 cans of beer in 2 hours and then drove out of the reserve. The next day he operated his machinery near out campsite until 9pm. Therefore be careful because some of the locals from Orange behave in this manner. I noticed his rear number plate was obscured also.